When viewing a video, click on the three dot icon at the bottom right of the video. 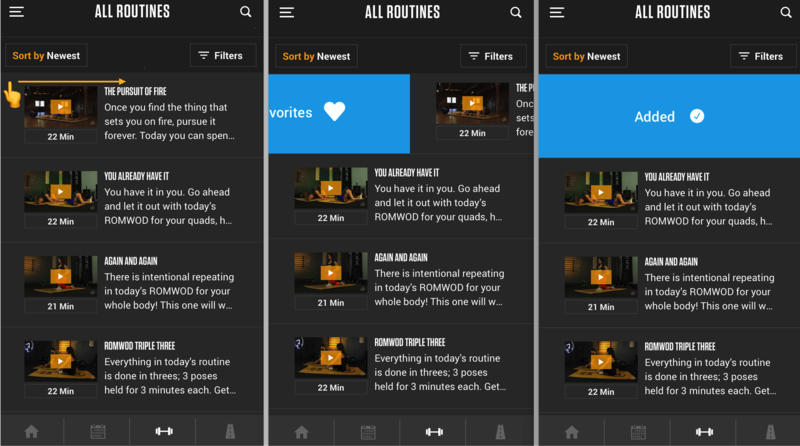 In the All Routines section, swipe right over the video you want added to your favorites. 1. 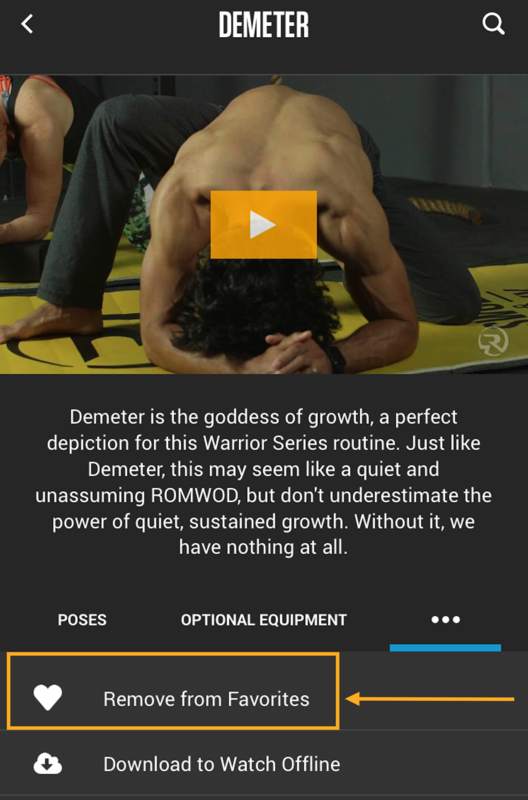 Click the three bar icon at the top left corner of the app. 3. 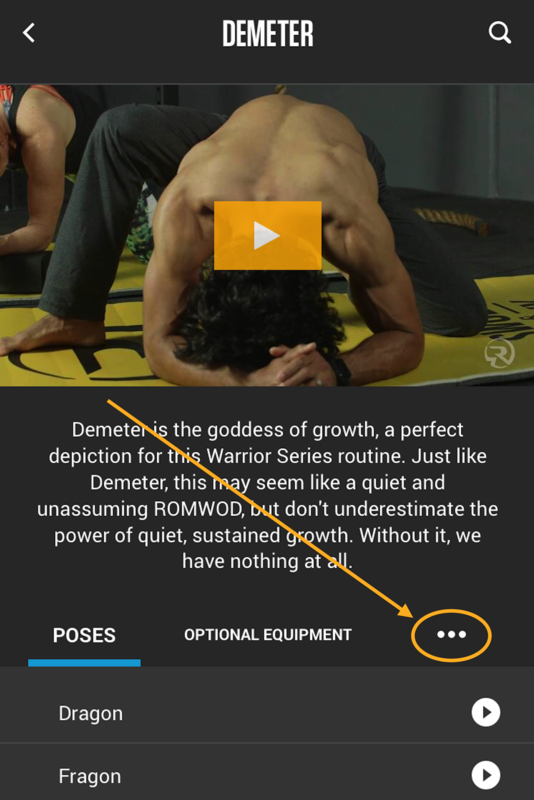 On the Favorites page, you may view or remove a video from your favorites list. Click on one of the favorites videos and click on the three bar icon at the bottom right of the video. Then click Remove from Favorites. 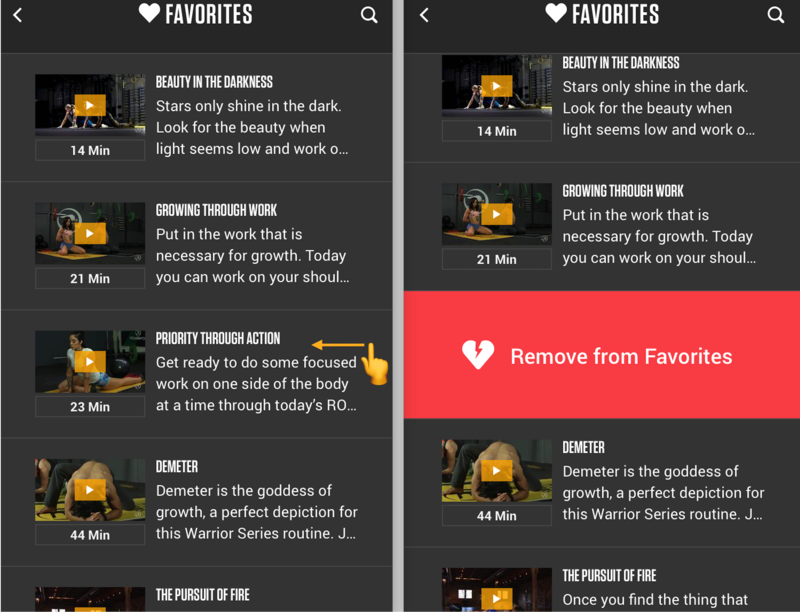 In the Favorites section or in the All Routines section, swipe left over a favorited video to remove it from your favorites.